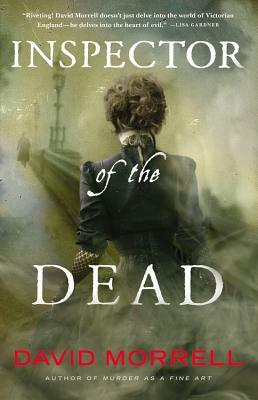 LEGENDARY THRILLER WRITER DAVID MORRELL TRANSPORTS READERS TO THE FOGBOUND STREETS OF LONDON, WHERE A KILLER PLOTS TO ASSASSINATE QUEEN VICTORIA. The year is 1855. The Crimean War is raging. The incompetence of British commanders causes the fall of the English government. The Empire teeters. Amid this crisis comes opium-eater Thomas De Quincey, one of the most notorious and brilliant personalities of Victorian England. Along with his irrepressible daughter, Emily, and their Scotland Yard companions, Ryan and Becker, De Quincey finds himself confronted by an adversary who threatens the heart of the nation. This killer targets members of the upper echelons of British society, leaving with each corpse the name of someone who previously attempted to kill Queen Victoria. The evidence indicates that the ultimate victim will be Victoria herself. David Morrell is an Edgar and Anthony Award finalist, a Nero and Macavity winner, and recipient of the prestigious career-achievement ThrillerMaster award from the International Thriller Writers. He has written twenty-nine works of fiction, which have been translated into thirty languages. He is also a former literature professor at the University of Iowa and received his PhD from Pennsylvania State University. "Riveting . . . Inspector of the Dead is a masterful work." "Superb . . . Masterful . . . Edgar Allan Poe may have invented the modern detective story, but now David Morrell has reinvented it. He's turned thriller writing into a concerto worthy of Mozart and conducts the brilliant Inspector of the Dead with perfect pitch and tone. A true maestro wielding a keyboard instead of a baton." "Riveting! I literally thought I was in 1855 London. With this mesmerizing series, David Morrell doesn't just delve into the world of Victorian England--he delves into the heart of evil, pitting one man's opium-skewed brilliance against a society where appearances are everything . . . and the most vicious killers lurk closer than anyone thinks." "Fans of sophisticated historicals will embrace Macavity Award-winner Morrell's second suspense novel featuring Thomas De Quincey and his grown daughter, Emily. . . . Convincing period detail complements the fascinating story line."